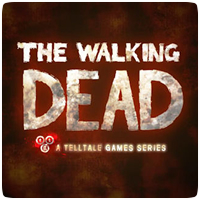 On August 7th, PlayStation Plus members in North America will get Telltale Games’ The Walking Dead Episodes 1& 2 added to their Instant Game Collection. Also, in the next few weeks PlayStation Plus members will also receive significant discounts on the latest and best PSN games a part of PSN PLAY event, beginning today. The first two episodes of The Walking Dead will be available to download for free, which usually cost $4.99 each. PlayStation Plus members will still have to purchase the remaining episodes as they are released (unless there is another offer at a later date).